This contemporary apartment is sure to exceed expectations at every turn from its luxurious fixtures and fittings and with its superb location you'll find every lifestyle advantage in this modern home. Set in a boutique development the residence offers great privacy and features an open-plan living/dining area with floor to ceiling windows that flood the room with light and with its generous dimensions and balcony access, it's a fantastic space for entertaining. The adjacent kitchen is another highlight, with stylish glass splashback, generous Caesarstone benches and stainless steel appliances. Three robed bedrooms boast attractive proportions with the master offering a walk in robe and ensuite whilst the family bathroom is a modern sensation. Additional appointments include quality carpeting throughout, reverse cycle air conditioning, European laundry, video intercom entry, an elevator and secure underground parking for one cars pace and additional storage. 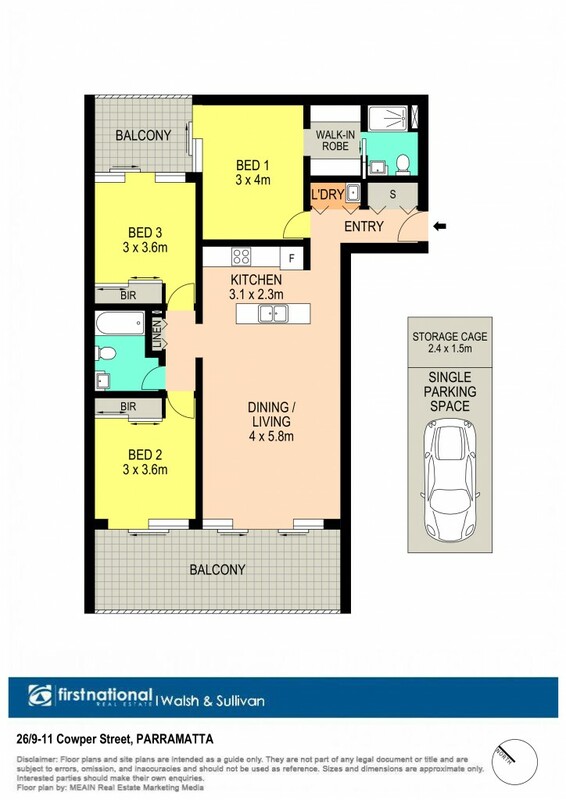 Just a stroll to Parramatta station, Westfield Shopping Centre and Parramatta CBD this appealing apartment presents a range of irresistible lifestyle benefits to all manner of homebuyers. For more information contact Wayne Gay on 0403 052 226 or Tracey Paterson on 0406 754 462.